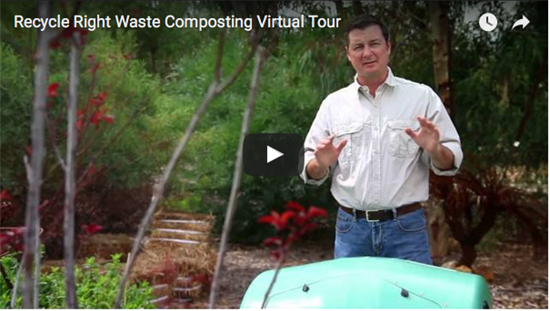 Recycle Right are pleased to announce you can now watch virtual tour videos of the SMRCâ€™s Waste Composting, Green Waste and Materials Recovery Facilities. These videos have been developed with the support of the Waste Authority of WA, through the waste avoidance and resource recovery account. You may not be able to attend a tour personally due to time or accessibility constraints, so please click below and enjoy learning all about our amazing recycling facilities. Gas cylinders and bottles should never be placed in your kerbside bins as they are a hazard to the truck driver and staff at the recycling facility. In the first instance, they should be returned to the supplier for refill or disposal. 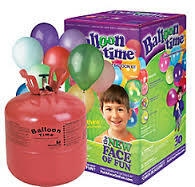 One time use cylinders such as helium cylinders for party balloons need to be taken to your nearest Household Hazardous Waste drop off facility for disposal. They are mostly imported from America and are not recyclable in your kerbside bins. Instead of using balloons for decoration, try a more environmentally sustainable option like paper flowers that can be composted. To find your nearest HHW point of disposal for gas cylinders, download the free Recycle Right app from your app store. The Customer Service Team at the City of Cockburn took advantage of the cooler weather that tends to come on our longer summer afternoons to take a tour of the Regional Resource Recovery Centre this month. Staff were able to view the waste from the general waste green bins being loaded into our digesters, and were amazed by how much plastic ends up in this waste stream. After asking some of the tough questions they get calls about every day, they were given a personal tour through the recycle right app. 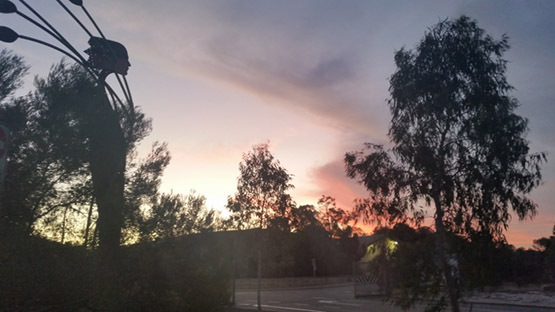 If youâ€™d like to organise a visit to find out what happens to your waste, contact Emma on 9256 9528 or alternatively, via email: tours@smrc.com.au. Sarah from the Communications Team is always busy doing fantastic work, and here is just one of her latest masterpieces. A promo video for the Recycle Right app. The app is free from your app store. 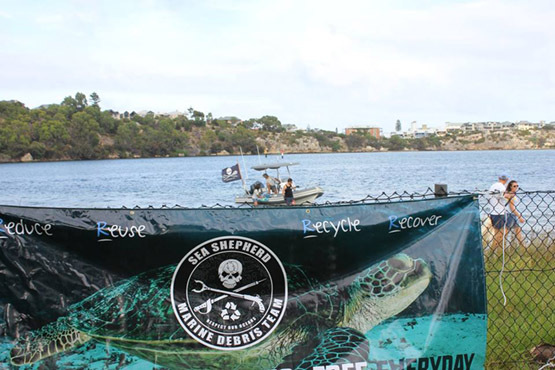 On Sunday morning the Sea Shepherd Perth Marine Team conducted a dual â€“ onshore / offshore clean-up from East Fremantle south of Perth collecting 5,704 items of marine debris. The location is a few kilometres upstream from the busy Fremantle Harbour and mouth of the Swan River, which meets the Indian Ocean. There were 26 volunteers involved in the clean-up including a small crew on board Bruce The Rib captained by Mike Dicks. Bruce and crew motored up river along East and North Fremantle, Mosman Park and Peppermint Grove. The crew collected quite a haul including two boat chairs, plastic crates and even a mix of Christmas decorations (tinsel, baubles and beads). Despite windy conditions the passionate onshore team removed 1,514 cigarette butts, 300m of recreational fishing line, 560 pieces of plastic food packaging and a whopping 473 plastic bags. All these items should not be there and should have been in the council supplied rubbish bins located all across this area (or not there at all with some wise consumer choices and BYO). From clean-up HQ there were no less than 14 council Sulo bins in sight. The wind and current would see this debris go down river and out into the ocean for wildlife to mistake for food. There is simply no excuse. They came upon a very degraded disposable drink cup that showed everyone that despite appearances these cups are not made of cardboard, with the plastic lining clearly apparent. 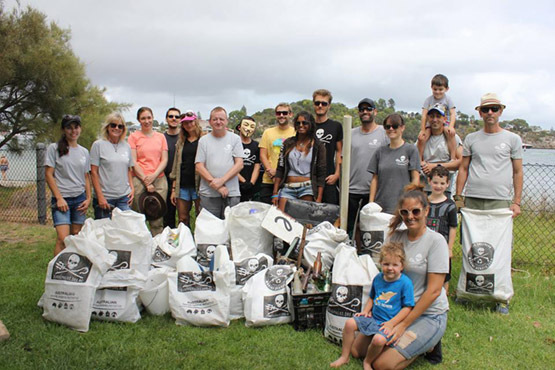 Two local elected members participate in the clean-up â€“ special thanks to Simone McGurk MLA (Member for Fremantle) and Josh Wilson (Deputy Mayor, City of Fremantle) and his enthusiastic family. 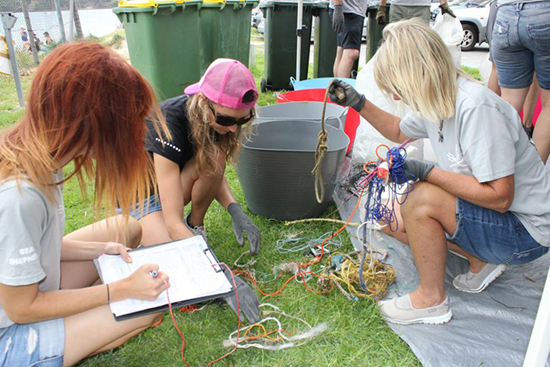 The Perth Marine Debris Team will be out and about again in early March â€“ next monthâ€™s clean-up is scheduled for Sunday March 6 at South Beach. Biodegradable? Compostable? What does it all mean? So, youâ€™ve decided to change your shopping habits to make more environmentally responsible purchases. But when faced with all the jargon and advertising surrounding these products, it suddenly seems a lot more complicated than it should. Hereâ€™s some handy hints to help you break through the confusion. Biodegradable means that a product will be broken down over a period time by living things, such as fungi and microorganisms. There is no time period attached with this label, so biodegradable items could take 2 years or 10 years to totally be broken back down to organic compounds. Degradable simply means it will break down over time. That plastic bag that you left in the sun that just crumbled into smaller pieces? Not biodegradable or compostable. These kinds of items actually pose more of a risk to the environment, as those smaller pieces are now easier for animals to eat and to make their way into the ecosystem. Compostable will biodegrade in an industrial compost facility, like the SMRCâ€™s Waste Composting Facility. 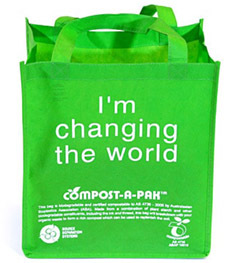 Look out for the Australian Standard number (AS 4736-2006) and the compostable logo. Home compostable means itâ€™s not only compostable by an industrial scale composter, but also in your backyard. Australian Standard AS 5810-2010 will let you know itâ€™s the item youâ€™re after. Bioplastics are plastics derived from renewable biomass sources such as vegetable fats and oils, corn starch or microbiota. Some, but not all, bioplastics are designed to biodegrade. Biodegradable bioplastics can break down in either anaerobic or aerobic environments, depending on how they are manufactured. Bioplastics can be composed of starches, cellulose, biopolymers, and a variety of other materials. The best thing you can do is to AVOID using single use products altogether. Bring your own water bottle, invest in a reusable coffee cup and say no to plastic bags. Congratulations to Kristy from Lynwood who won our â€œWhatâ€™s wrong with this picture?â€ competition. Clothes donâ€™t belong in the recycling bin. 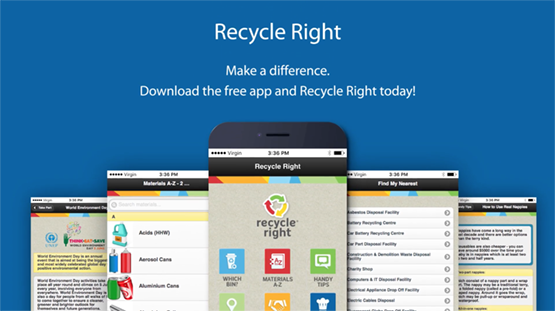 Use the recycle right app to find your nearest charity store to donate your unwanted clothes. Organic waste, such as leaves, lawn clippings and food, donâ€™t belong in the recycling bin. 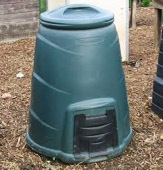 Set up a compost bin at home or place garden waste in your green lidded bin. Congratulations again Kristy and we look forward to taking you on a tour of the RRRC soon. Holding waste education workshops catering for non-English speaking migrants to help them implement waste management changes. This was reinforced with home visits. Increasing collection points for cans and other materials, with clearer signage in regional areas to make recycling easier for rural residents. The Authority will consider grant applications up to $20,000 per project. In 1567, shortly after his first birthday, James VI (later King James I of England) was crowned King of Scotland. If he had worn modern disposable nappies that were then buried in landfill, like they are now, we would still be able to dig up some of the remnants! Nappies should never be placed in the recycling bin as they are a hazard to our sorters, end up in the paper bales and can impose restrictions as serious as export bans. Nappies should be placed in your green-topped bin to be composted. How can you help protect wildlife every day? 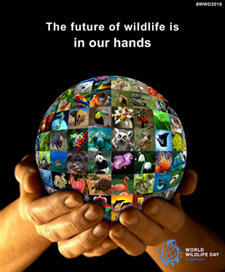 Wildlife needs our protection every day. As some say, every day should be wildlife day. A new brand for the group will be developed by the communications team to present to their next meeting on the 7th of April. The group are applying for a community waste grant, to exercise a waste reduction activity in the community. If you would like to get involved with WREN please call Taryn Davis on 9329 2700. 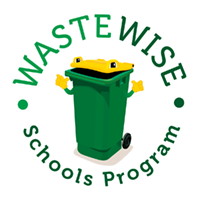 The Waste Wise Schools program targets schools in WA with educational strategies for reducing waste to landfill by implementing the 3Rs, reduce, reuse, recycle â€“ while developing positive environmental values in students and the whole school community. The program is FREE and available to all schools in Western Australia. Information in this section of the Authorityâ€™s website is primarily aimed at teachers but does cater for students. 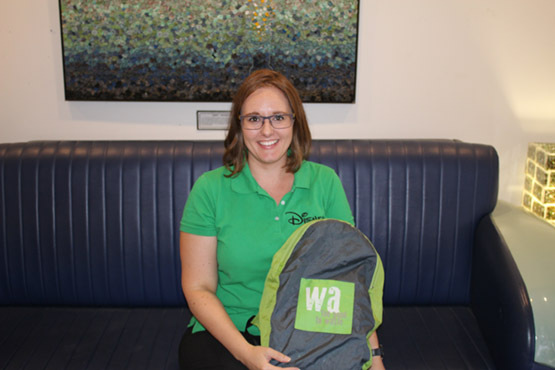 You can contact the Waste Wise coordinator on 6467 5167 or email wastewise@der.wa.gov.au. Recycle Right will be hosting an information stall at Murdoch University on Thursday March 3rd. Take the opportunity to ask those burning recycling questions, take home information to use in your home and test your ability to recycle right. Find us in Bush Court, near the Library Side. Recycle Right, in partnership with Little Green Steps and Waste Wise Schools, would like to invite you to attend the FREE â€œReducing Waste Togetherâ€ workshop, being held on the afternoon of May 3rd. Learn about the problems created by waste and leave with inspiring resources to help you reduce the waste produced by your early childhood service. This workshop is suited for educators from services in Cockburn, East Fremantle, Fremantle, Kwinana and Melville. 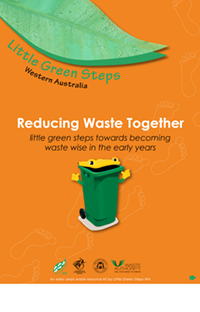 For more information about these workshops and to book, contact please contact Megan Mentz from Little Green Steps by emailing m.mentz@aaeewa.org.au. City of Melville residents are entitled to the Compost Bin Rebate, while funds last. To receive a rebate of up to $50.00, purchase a compost bin from a retailer, complete the Rebate Application Form and return to us with a copy of the compost bin purchase receipt and your proof of address within the City of Melville. Itâ€™s as easy as that!